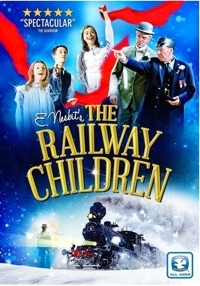 Adapted from a 1905 children’s novel by Edith Nesbit, The Railway Children is a joint York Theatre Royal and National Railway Museum production that was staged in a venue near Kings Cross Station in London. 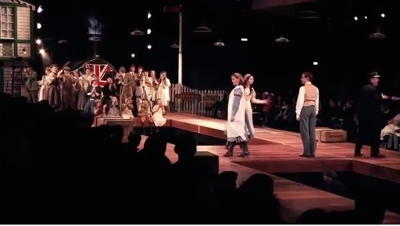 This is a filmed performance of the Mike Kenny and Damian Cruden production, which shut down in January 2017. If you’re from the U.K. and grew up with the book or have walked the park where a monument pays tribute, you’ll feel more easily charmed by a production that half-depends on the warm feeling of shared cultural nostalgia. 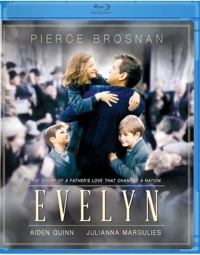 I’m guessing that more than a few people will notice that Evelyn is a film about an Irish father trying to gain custody of his kids and immediately think of Kramer vs. Kramer. How in the world is that appropriate for family viewing? 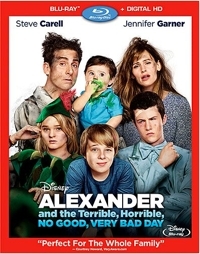 Well, the 1979 Academy Award-winning picture starring Dustin Hoffman and Meryl Streep isn’t appropriate, unless you think it’s character building for children to watch parents say and do some pretty nasty things to each other while tugging at their offspring as if they were a wishbone. But Evelyn isn’t like that at all. To continue the analogy, it’s more like Kramer vs. the Government. 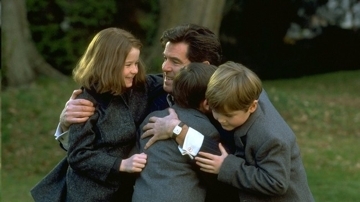 Based on a real 1955 custody case that had an entire nation hanging on the decision, Evelyn stars Pierce Brosnan in a very un-Bondlike role. He plays Desmond Doyle, an out-of-work Irishman who sings in his father’s band and drinks a little too much. But it’s clear that he has a good heart and he loves his children. He’s crushed when his wife (and their mother) runs off to Australia with another man, and Irish law at the time forbade children from being raised by a single parent. The children are removed from the home and placed in a Roman Catholic orphanage, where neglect and abuse are as common as the priest scandals that have dominated the headlines in recent years. Viewers soon discover that the orphanages are full of faux orphans—children taken away from a single parent who still loves them dearly and wishes to care for them. Most parents give up, the film’s narrative tells us. It is, after all, Irish law. But not Desmond Doyle. After a few aborted attempts to get his children illegally, he attracts the attention of a woman working extra hours as a bartender to help pay for her education. She has a brother (Stephen Rea) who might be able to help him. And a would-be suitor from America (Aidan Quinn) who just happens to be a barrister. Before long, they’ve attracted the interest of another lawyer who moonlights as a sports announcer (Alan Bates). Suddenly, Doyle isn’t just a single father fighting the system in futility. He’s part of a team that’s trying to establish a new precedent in Irish law—one that’s fairer to families. 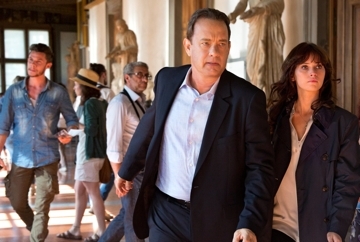 Harvard professor Robert Langdon (Tom Hanks) is confused for the bulk of this action-thriller, and as a result, so are viewers. As he was in The Da Vinci Code (2006) and Angels & Demons (2009), Langdon is on the run—chased by people who want to get what he has, or kill him, or both. And once again he is accompanied/assisted by a beautiful woman (Sienna Brooks). In other words, there’s a formula at work here, so those who liked the first two films based on novels by Dan Brown and directed by Ron Howard ought to enjoy this one as well. You know who you are, and you know the drill. Along the way you’ll learn more about Langford’s area of specialization—Dante and medieval symbols—and your confusions will eventually be resolved by explanations presented almost as rapid-fire as the action . . . so pay attention! In Inferno, Langdon awakens in a hospital in Florence, Italy. He is having major hallucinations of disturbing medieval images—graphic images that are mostly responsible for the PG-13 rating—and he has amnesia. He has no idea how he got from Boston to Florence. But there isn’t much time for reflection. The plot kick-starts when an Italian motorcycle policewoman comes to the hospital, shoots an orderly, and tries to kill Langdon. The nurse, Felicity (Brooks), helps him escape, and from that moment the chases are on. Langdon is pursued by three separate groups of people (who ARE they, and who’s telling the truth? ), and on-the-run he’s racing to piece clues together to try to remember how he became involved in all of this, and how big it is. 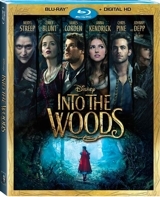 From composer Stephen Sondheim (Sunday in the Park with George), the producers of Wicked, and the director of Chicago comes Disney’s film version of the popular Broadway play Into the Woods—available on Blu-ray, Digital HD, and Disney Movies Anywhere on March 24, 2015. Iconic characters such as Cinderella, Little Red Riding Hood, Jack and the Beanstalk, and Rapunzel find their fates intertwined with a humble baker and his wife, whose longing to have a child sends them “into the woods” on a quest to reverse a witch’s curse. 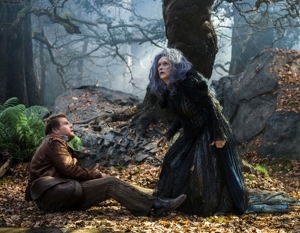 In this PG-rated musical comedy-drama, Meryl Streep stars as the Witch, Johnny Depp as the Wolf, Emily Blunt as the Baker’s Wife, James Corden as the Baker, Anna Kendrick as Cinderella, Chris Pine as the Prince, Lilla Crawford as Little Red Riding Hood, Daniel Huttlestone as Jack, and MacKenzie Mauzy as Rapunzel. The soundtrack will really come to life with an English DTS-HD MA 7.1, and young fans will have fun looking for five Golden Eggs (Easter Eggs) to click on for additional bonus content. Included among the extras are making-of features and a “never-before-seen” (or heard?) original Sondheim song, “She’ll Be Back,” sung by Streep. At Movie Metropolis, which became defunct today when the CEO shut it down without explanation, I wrote a weekly “This Week” column alerting readers to new releases. I had no idea when I posted this morning’s “This Week” column that the site would be shut down permanently today, but I plan on continuing that feature here at Family Home Theater. For Movie Met readers who have found your way to my blog, Family Home Theater is devoted to “stuff the kids can see,” or at least some of the kids. Sometimes it will be the older kids, sometimes just the younger. Mostly I’ll cover PG-13, PG, and G releases, though an occasional R-rated film that’s an award winner or something older teens might want to see may also find its way into the site, if it’s rated R mostly for language that the kids hear on the playground anyway. But the emphasis is on family movie nights. 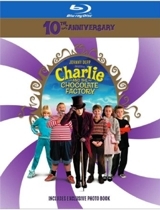 There’s always an anniversary in TV and Movie Land, and this week it’s Charlie and the Chocolate Factory, which celebrates its 10th with the release of a Blu-ray. Unless you’re wedded to the original Gene Wilder film, which seems more dated these days, this Tim Burton version of the Roald Dahl story will probably hold your kids’ attention better—even though some of you might feel more nostalgic toward the “Wilder” version. Charlie is rated PG-13, which is what you’d expect from Burton and Depp. 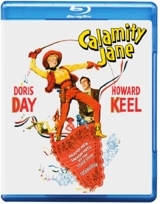 This week the Warner Bros. musical comedy Calamity Jane comes out on Blu-ray as a single title for the first time and as part of a four-film Blu-ray collection that also includes Kiss Me Kate 3D, The Band Wagon, and Singin’ in the Rain. This isn’t the Calamity Jane you saw in HBO’s Deadwood. In this cheery 1953 film, Jane may own a saloon, but it’s only to give Day a chance to sing. If your family loves musicals, this one isn’t a classic, but Day’s character is infectious. And it’s rated G.
If you have younger children, girls especially, their “please please” radar will bleep in the direction of two new releases this week. Disney has been promoting the heck out of Tinker Bell and the Legend of the Neverbeast, and I have no problem with that kind of marketing blitz. As long as they continue to crank out above-average, G-rated, high production-value installments in this Pixie Hollow Fairies series, I’m good with it—even though it seems to be a revisionist take on the 1953 version of Tinker Bell, who was petty, jealous, self-centered, and vindictive. The reimagined Tinker Bell has a much better image—almost as squeaky clean as Doris Day’s persona. That’s good, because these Disney movies are all about modeling positive behaviors and teaching lessons in attitude adjustment. Look for Neverbeast on Blu-ray or DVD. 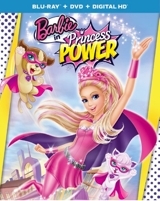 The other kiddie-pleaser coming out on both formats this week is Barbie in Princess Power. Universal hasn’t been able to keep this franchise as fresh as Disney, and all you have to do realize that is recall the funny and inventive Pixar shorts featuring Barbie and Ken. Princess Power looks like another retread from tires we’ve already kicked and drives we’ve already taken. But that won’t stop little girls from enjoying it. Ever have the feeling that when your day starts off on the wrong foot, it’s going to be one stumble after the next, until you can go to bed and get a fresh start the following morning? That’s what happens to 11-year-old Alexander, a doom-and-gloom youngster who tries to warn his family that anything they attempt is bound to turn out badly—all because his own day begins with a wad of gum stuck in his hair and then slides quickly into a vat of bubbling disasters, both small and large. What’s worse, it’s the day before his 12th birthday.